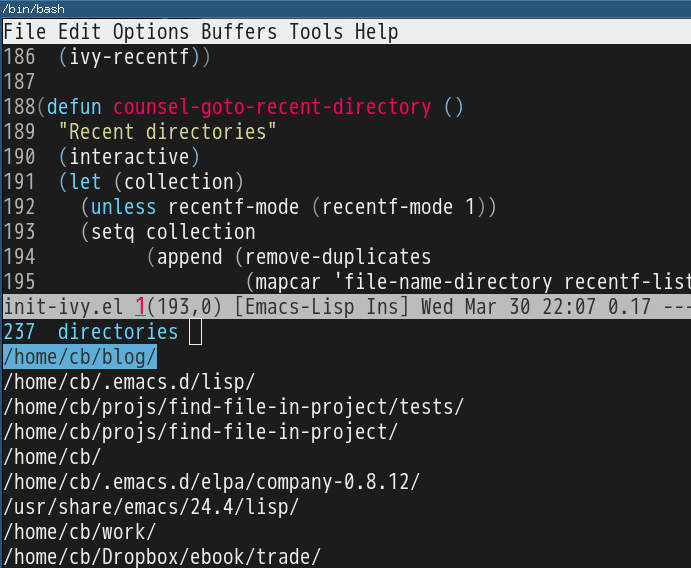 The recent directories include parent directories of opened files in Emacs and the directories accessed in Bash shell. I used fasd to get the list of directories in shell. Fasd "offers quick access to files and directories for POSIX shells". "Open recent directory with dired"